It’s easier than ever to earn lots of miles & points with the recent big credit card sign-up bonuses. But having a stash of miles is only half the battle. You still need to be able to redeem them for travel. 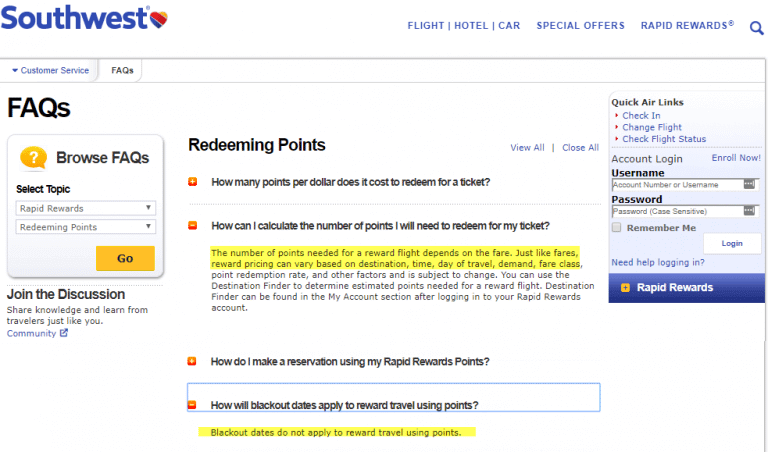 Airlines are constantly changing their award prices, and loyalty program rules. 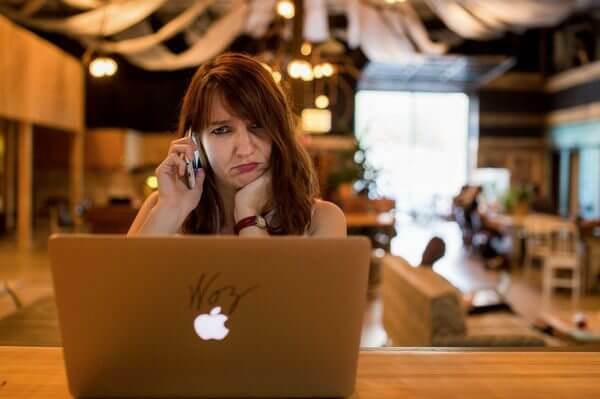 It can be frustrating having the miles you thought you needed for your dream trip, and still not being able to book the award flight you want. Don’t give up! There are many ways to find award flights. But you’ll continue to be at a loss if you don’t learn the tricks miles and points pros use! One of the lesser-known benefits of airline elite status is some airlines offer better or more available award seats to elites. Both Air France & SWISS allow only elite members access to First Class award seats. United Airlines MileagePlus elite members have access to more United Airlines Saver award seats. But many folks don’t travel enough to earn airline elite status! If you don’t have elite status with United Airlines, it’s relatively easy to unlock more Saver level award seats by having the Chase United Explorer, Chase United Explorer Business, or Chase United Club card. With the Chase United MileagePlus credit cards you’ll also get other great perks like a free checked bag when you pay for the flight with your card. You can book most airline award flights ~10 to ~12 months in advance. Searching for award travel as far in advance as possible is often the best way to get the flight you want. This is especially true when you want to book Business or First Class flights. However, there are times when waiting until closer to your travel date can work. This is a risky way of booking your flight, because there’s NO guarantee the airline will release additional award seats. BUT if you’re flexible, some airlines make unsold seats available for award bookings within a week or 2 of departure. Cathay Pacific Will Sometimes Open Up Unsold First Class Seats for Last-minute Award Bookings. This is NOT a good idea if you are traveling during high season, or have set travel plans. Also, some airlines, like United Airlines, add fees for award flights booked close to the date of travel. But here’s a trick you can use to avoid this! Many airlines have generous award booking rules that can allow you to visit multiple places on the same ticket! For example, Alaska Airlines allows stopovers on award flights, and you can use this trick for a free one-way flight. United Airlines recently added an “Excursionist Perk” that allows you to add a free one-way flight to certain award tickets. And, if you are booking an Icelandair award flight, you can add a free 7-day stopover in Iceland! If you don’t know the rules you could be paying for flights that you don’t need to or missing out on free awards! Airline alliances allow you to earn miles with your favorite airline, and use those miles to book award flights with other member airlines. For example, you can use American Airlines miles to book Cathay Pacific First Class flights, or Korean Air miles to fly Delta to Hawaii! Even airlines that aren’t part of a major alliance, like Alaska Airlines, have separate partnerships with the same benefits. Some airlines will allow you to book a coach award seat, and get on a wait list to upgrade later if Business or First Class becomes available. Million Mile Secrets team member Keith recently used this strategy to book Business Class seats with United Airlines. The Singapore Airlines wait list works a little differently. If the award seats you want aren’t available, you might have the option to book a “Waitlist” award. When the seat you want becomes available you will get an email, and have ~1 day to book your flight. Even though “Waitlist” awards aren’t actually flights, you will still need all the necessary miles in your account before you book. Not sure what your preferred airline’s wait list policy is? Don’t be afraid to call and ask. The best way to have success in booking the flight you want, when you want is with transferable points. Don’t be tied to booking flights with one airline or alliance! Million Mile Secrets team member Keith used transferable points from several different flexible points programs to book 6 award flights from Sydney to Los Angeles. Chase Ultimate Rewards is my favorite flexible points program because of its valuable transfer partners like British Airways, Singapore Airlines, and United Airlines. Or consider these other flexible points, and you can book awards with dozens of airlines! If you aren’t familiar with these programs, check out my beginner’s guide to flexible points. Some award seats won’t show up when you search online. You can use Alaska Airlines miles to book flights with its partners LATAM Airlines, or Cathay Pacific. BUT, you won’t find these award seats on the Alaska Airline website. American Airlines has 12+ airline partners that you can book with American Airlines miles, but you can’t search for on the American Airlines website. In both of these cases you can use the British Airways website to find the award you want, and then call American Airlines or Alaska Airlines to book your seat. Not sure where to search for award seats for the airline you’re trying to book? Check out our award booking guides. Award search tools like ExpertFlyer, and AwardNexus allow you search for award flights across multiple airlines at the same time! This is can save you hours that would have been spent searching different airlines separately. One of the best features of both Expertflyer, and AwardNexus is the ability to set up seat and flight alerts so you will be notified when the award you want becomes available. Try flying with an airline that doesn’t limit award flights. With Southwest and JetBlue, as long as the flight isn’t sold out, you can book an award seat! 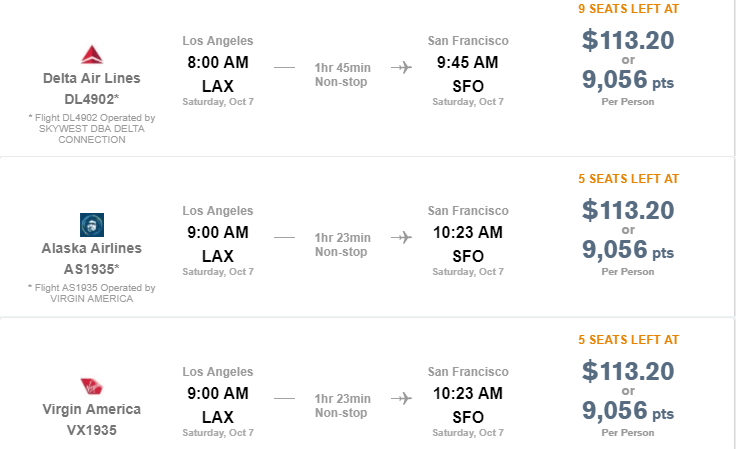 The downside of this is you won’t always get the lowest-priced award flight. Southwest, and JetBlue award flights vary in cost based on the cash price of the ticket. For expensive flights you’ll need more points. A few travel programs allow you to book flights with points on almost any airline, and earn miles at the same time! 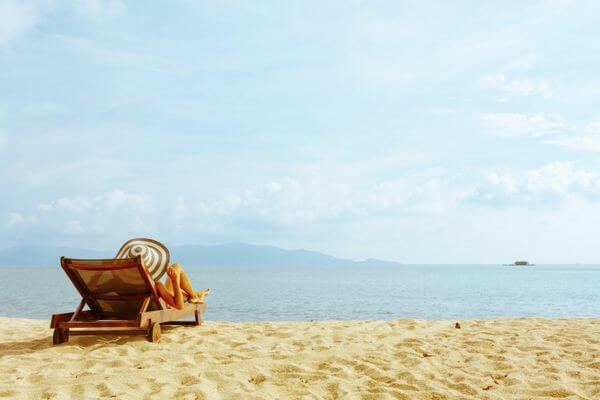 With the Chase Sapphire Preferred, or Chase Ink Business Preferred cards, you can book travel through the Chase Travel Portal at 1.25 cents per point. And you can get even more value out of your Chase Ultimate Rewards points (1.5 cents per point) with the Chase Sapphire Reserve card. The Citi Premier Card and Citi Prestige cards allow you redeem points towards airfare at 1.25 cents per point through the Citi ThankYou Travel Center. Use the Chase Travel Portal to Book Flights With Points on Almost Any Airline! If you’re frustrated by trying to find the best airline award deal, take a deep breath, and think about why you are doing it. Is saving 20,000 miles going to improve your travel experience? What is the best deal going to cost? Can a 5:00 am flight with a 12-hour layover be a good deal? If you enjoy the ins-and-outs of finding the best deal, then make that part of your trip. BUT, savvy travelers know that time is money. If you are losing sleep trying to work out your trip, then it might be time to hand the process over to an expert. You will take the experience with you, NOT the miles you saved. Using points & miles for a bucket-list trip or family vacation should add to your life, not take away from it. Earning points can be the easy part. Especially with great offers on so many travel credit cards. When you can’t find the award flight you need it can put a damper on the experience. The good news is that you don’t have to miss out on the travel you want. If you know your travel goals, and few simple airline award travel booking tips it’s easy to get Big Travel with Small Money. What tips can you share for booking award flights? Just FYI, have tried the close in booking trip in the past and was successful. However, on a recent booking to Hawaii the trick DID NOT work and I was charged $75 after changing my flight to a close in date. Has anyone been able to use this trick in recent months/weeks?